The Momentum SX5i is a full range 2.5-way iso-baric floorstanding design which uses four drive units in each enclosure. The iso-baric principle is exploited in quite a radical way in the design of the Momentum SX5i, which features two 6.5" bass drive units in an integral subwoofer arrangement (this part of the system is hidden from view). 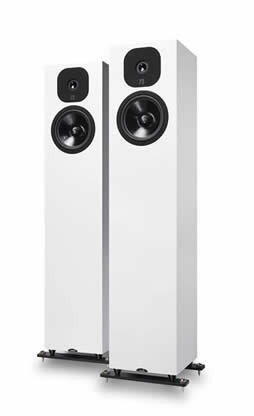 An ‘Ultimatum’ type bass/midrange main driver then handles frequencies up to the crossover point, where the new ‘SXT’ inverted anodised aluminium dome tweeter, with its fluid & dynamic HF response, takes over. custom-made to Neat Acoustics’ designs. matters – in the listening room. The Momentum SX5i can be upgraded easily with the addition of the dedicated Tri-laminate Feet Kit (as pictured). These feet allow greater stability and overall cleaner presentation. 2.5-way iso-baric bass reflex, incorporating integral iso-baric subwoofer.